What is a Residual Functional Capacity Form? An RFC form assesses a disability claimant’s “residual functional capacity,” which is the claimant’s functional capacity (ability to function or perform work activity) that remains after taking into account the claimant’s mental and/or physical disabilities. An RFC is also commonly called a Medical Source Statement or Attending Physician’s Statement. Should You Obtain a Medical Source Statement from Your Physician for Your LTD Case? A statement from a treating doctor can often make the difference between winning or losing a long term disability claim. But that does not mean any statement will do. The statement should not be too brief to be of any use or too conclusory. I cannot tell you how many times our office has received a call from an excited client and the client says the doctor wrote them a statement that will win the case. We tell the client to bring the statement into our office. It is an extremely note on a prescription pad that says little more than “My patient is completely disabled and unable to work”. I’m afraid to say that this type of statement is extraordinarily useless to the insurance company disability claims examiner (who makes the decision on an application for disability or on the appeal). There is no question that the LTD insurance company is very interested in receiving the opinion of a claimant’s treating physician. 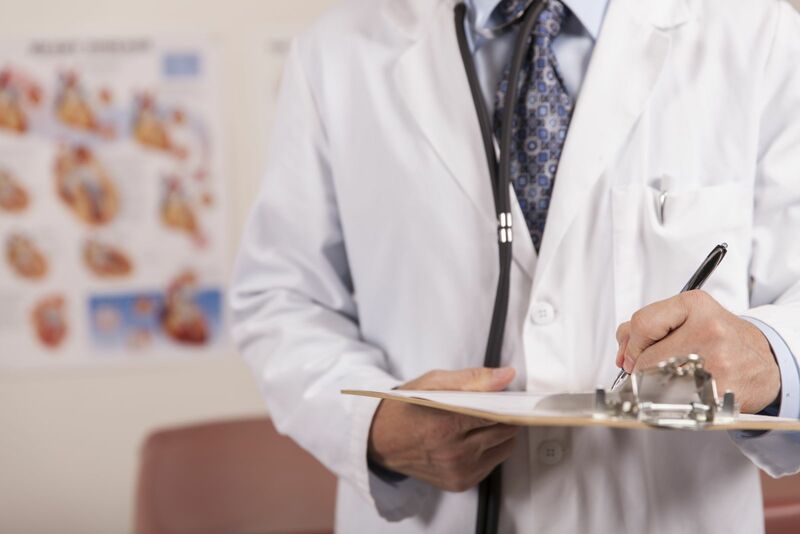 In fact, most insurance companies have an Attending Physician’s Statement to be filled out by a doctor as part of the disability claim application. Who Signs the Medical Source Statement? A doctor who submits a statement should be a treating physician. A treating physician is qualified to give a valid opinion as to the claimant’s medical condition and how the condition affects the claimant because the doctor has a history of treating the claimant. What Should the Medical Source Statement Say? Medical opinions only carry weight if they are specific enough to indicate the patient’s specific limitations and why the physician believes that his or her patient is disabled and unable to work. It should identify the claimant’s diagnosed condition or conditions. It should indicate the date of the diagnosis. It should indicate the prognosis (or future outlook) for the condition(s). Most importantly, it should identify all the various ways in which the claimant is functionally limited (which evidences how and why the claimant would be unable to sustain full time work activities). Regarding item number 4 above- it is usually most efficient and effective for a doctor to complete a check-off style form that allows the doctor to address the claimant’s level of impairment. For physical impairments, the doctor may opine as to the claimant’s physical strength level, their range of motion, their postural or ambulatory limitations (sitting, standing, walking, bending, crouching, reaching, balancing), their ability to life and carry weight on an occasional or frequent basis, their deficits with regard to their senses (seeing, hearing, feeling, grasping, manipulating), and any other physical functional short-comings the claimant may have. If the claimant’s disabling condition is mental, the treating psychiatrist or psychologist should indicate which cognitive deficits they have. For example, do they have trouble retaining information, learning information, concentrating, getting along with supervisors or co-workers, etc. Does the patent have a poor memory, decreased energy, illogical thinking, and so on? The mental RFC may also indicate the patient’s ability to persist in the areas of concentration and attention, as well as the patient’s ability to interact socially in work settings, assimilate new information, and successfully engage in SRRTs (simple, routine, repetitive tasks). Here is an example Attending Physician Statement from Sun Life: Sun Life Assurance Company of Canada. Long-Term Disability Claim Packet – Attending Physician. It includes a form for physical conditions and a separate form for behavioral health conditions (for mental health problems such as depression, anxiety and bipolar disorder). Many claimants think: “Well, if my medical records are strong, why should I need an RFC filled out by my doctor (or psychologist or psychiatrist)?” There is a very good answer to this question. Medical records very rarely specify opinions or conclusions regarding the patient’s ability to work or not. A long term disability insurance claims handler is not a doctor who can easily translate medical findings into specific work-related impairments. This is why it is important for a doctor to “bridge the gap” between your medical diagnoses and your work-related impairments. A doctor’s RFC/APS form makes the LTD claims handler’s job easier. A doctor’s RFC/APS form allows a claimant to present a professional interpretation of the medical evidence, as opposed to simply presenting the medical evidence by itself. A doctor’s RFC/APS form can be instrumental in winning a disability case, mainly by allowing a doctor to specifically comment on a claimant’s limitations with respect to exertional ability, postural limitations, strength, range of motion, mobility, etc. A competent and experienced disability attorney will nearly always try to obtain a medical source statement from the claimant’s treating physician (physicians if more than one). This is because such statements can often “turn the tide” in a case and effectively win disability benefits. You can use the Attending Physician Statement provided to you by the insurance company as your medical source statement. However, keep in mind that the same forms are used for every claimant, regardless of that individual’s specific impairments. In other words, the same APS is used whether the claimant has back pain, cancer, heart problems, or lung problems. Each medical condition results in specific impairments. That’s why my office has created specific Medical Source Statement forms for a multitude of medical impairments. We have specific forms for neck, back, heart, lung, shoulder, knee, hip, foot, fibromyalgia, and migraine headaches problems. This list is not complete. We literally have dozens of forms, including forms for less common medical conditions like dysautonomia and Lyme Disease. Mr. Ortiz offers free consultations if your LTD claim has been denied or terminated. Call 850-308-7833 today to discuss your legal rights.